Skunks emerge from hibernation and move across roadways. Deer-vehicle accidents increase as year-old deer move to new areas. Young wildlife are often left alone for hours at a time, leading people to incorrectly believe that they are orphaned. Deer fawns are born in early summer and are sometimes left alone in people’s yards. Don’t disturb the fawn, the mother is close even if you don’t see her. Birds sometimes attack people, windows or vehicles as they try to defend their nests. 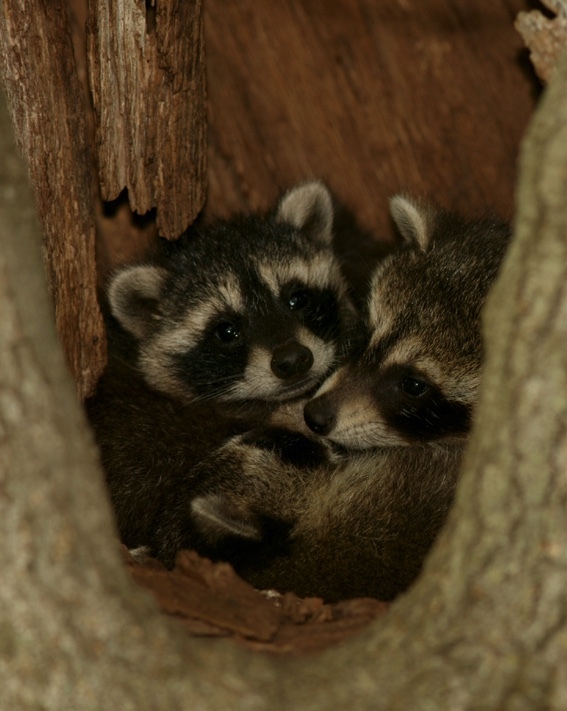 Raccoons and opossums may raid improperly secured trash bins. Coyotes and foxes take their young out to teach them to hunt. Young animals leave their parent’s territory to find their own place to live. You may see them wandering through your neighborhood. Bats may enter houses and other buildings to find a place to hibernate for the winter. Deer-vehicle accidents peak from October to December. Deer, turkey and coyotes tend to exhibit grouping behavior and often become more daring as conditions for finding food become less favorable. Deer herds will group together and can cause substantial damage to hedges and ornamental trees. Rabbits and voles will strip bark off of shrubs and young trees as other food supplies become scarce. Beavers cut trees and shrubs and build dams that cause flooding of lawns, parks or golf courses. If the flooding cannot be tolerated, contact a nuisance wildlife control operator to trap the beaver.